Peace talks between the U.S. and the Taliban to end the 17-year war in Afghanistan may be further along than previously thought, according to the Daily Beast's Spencer Ackerman. The details: Former U.S. Army Colonel Chris Kolenda and former U.S. Ambassador Robin Raphel have been speaking with Taliban representatives since November, having a series of meetings in Doha, Qatar. What began as an unauthorized trip "proved to be instrumental in convincing the Trump administration... that there was a real chance" to end the U.S.' longest war. Publicly, Taliban officials continue to say that foreign occupation of Afghanistan is a non-starter for negotiations. But, Ackerman reports, they've "indicated an extraordinary flexibility" in private. Paolo Cotta-Ramusino, the secretary general of the arms control group Pugwash Conferences who has been instrumental in keeping lines open to the Taliban, told the Daily Beast: "They don't want the troops, but if there are enough guarantees that the troops aren't fighting them, then it can be discussed." Quote"The American government's position has evolved. They finally came to accept that it really is a stalemate. While the Taliban can't win in a traditional way, we can't win either." State Department officials are maintaining that the U.S. is playing a supporting role in negotiations. Secretary of State Mike Pompeo has said previously that the U.S. will "support, facilitate, and participate" in peace talks between the Afghan government and the Taliban, but the talks will be primarily between those two entities. 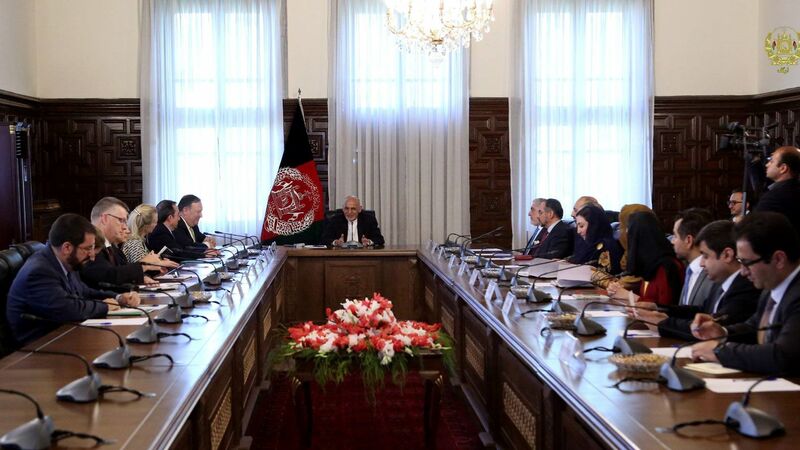 Kolenda, Raphel and Cotta-Ramusino traveled to Kabul on June 23 to meet with Afghan officials. Ackerman reports that they heard "enthusiasm for the peace process and a sense that the U.S. needed to help break the diplomatic logjam inhibiting it." The bottom line: This process has barely begun, per Ackerman; "[e]very hard question about the future course of Afghanistan, and the U.S. presence within it, remains untested."